This magical and memorable troupe from Belfast, Northern Ireland, first delighted Krannert Center audiences in 2016 with the coming-of-age tale of three little birds in its production of Egg. Its latest show to hatch is the delightful Shh! We Have a Plan, based on the Chris Haughton book of the same name. 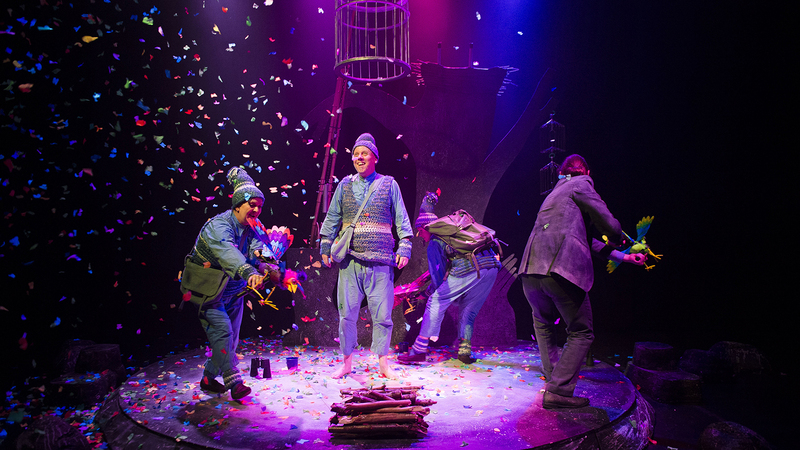 Youngsters will be entranced by the journey of three intrepid and rather madcap characters who each have the perfect plan to capture a beautiful bird perched high in a tree. Where will it all end? Follow along on Cahoots NI’s enchanting adventure—filled with music, pantomime, and puppetry—to see if perhaps freedom and kindness win out over getting what you want! This performance will run approximately 45 minutes with no intermission.